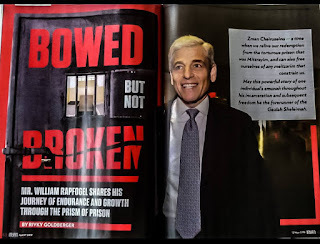 ...I have undertaken the research into the halakhic phase of this problem, which is fraught with grave political and social implications on the highest level of public relations, with utmost care and seriousness. Yet, I cannot lay claim to objectivity if the latter should signify the absence of axiological premises and a completely emotionally detached attitude. The halakhic inquiry, like any other cognitive theoretical performance, does not start out from the point of absolutely zero as to sentimental attitudes and value judgments. There always exists in the mind of the researcher an ethico-axiological background against which the contours of the subject matter in question stand out more clearly. In all fields of human intellectual endeavor there is always an intuitive approach which determines the course and method of the analysis. Not even in exact sciences (particularly in their interpretative phase) is it possible to divorce the human element from the formal aspect. Hence this investigation was also undertaken in a similar subjective mood. From the very outset I was prejudiced in favor of the project of the Rabbinical Council of America and I could not imagine any halakhic authority rendering a decision against it. My inquiry consisted only translating a vague intuitive feeling into fixed terms of halakhic discursive thinking." The truth is that, as Dr. Marc Shapiro has pointed out, all halachic authorities operate this way, because they are human beings. (On a related note, see the recent fascinating article "Why Facts Don't Change Our Minds" in the New Yorker, about how humans are unfortunately fundamentally wired against being truly objective.) The chiddush in this quote from Rav Soloveitchik is that he was sufficiently self-aware and intellectually honest to openly admit to it. Note to UK readers - In a few weeks I will be visiting London and Manchester (for the first time since leaving 24 years ago!). On Shabbos March 24/25, I am speaking at Kehillat Ohev Shalom in Edgware; on Sunday March 26 I am speaking about Rationalism vs. Mysticism on behalf of Shema in Manchester, at Maccabi; and on Tuesday March 28 I will be back in London, discussing Rationalism vs. Mysticism with Rabbi Joseph Dweck at the Spanish and Portugese Synagogue in Lauderdale Road, an event which I'm sure Yosef Mizrachi will be happy to publicize! I might still have availability for an engagement on Wednesday March 29; if you want to arrange something, please be in touch. Also, if you happen to be driving from London to Manchester on Motzai Shabbos March 25, or from Manchester to London on March 28, please let me know! I'm afraid neither City nor United are playing that day. Instead it's England v Lithuania! The question isn't whether subjectivity enters the equation. The question is whether one is supposed to accommodate it, or be aware of it and attempt to find whether it stands up to objective analysis of halakhah. For example, R Dov Linzer's recent essay, "May a Woman Recite Birkat Eirusin?" Do you feel any need to even read this article before concluding that RDL found a way to say "yes"? There is insufficient attention to submission, to qabbalas ol mitzvos -- being willing to be harnessed to the yoke of mitzvos. It is one thing to want a given answer; quite another to turn that rabbinic will into a guarantee or near-guarantee of an alleged halachic way. That "ethico-axiological background against which the contours of the subject matter in question stand out more clearly" that "always exists in the mind of the researcher" -- is it being honed against halakhah and aggadita, or just taken as a given? You appear to take the Rav to mean the poseiq, being human, cannot help but try to impose a personal bias. The Rav appears to me more to be speaking of an intuition of someone immersed in halakhah for much of his waking hours and for decades about what the halakhah ought to be. As the Rambam would put it, "libi omer li -- my heart tells me". Not because of this source or that source, but a general value system absorbed from immersion among many such sources. When we talk about requiring a poseiq to have yir'as Shamayim, this issue is a big part of why. He needs something to keep him trying to find what G-d wants, to align his own will to G-d's Will, rather than turning halakhah into a hoop to jump through to kasher whatever the culture of the times promotes. So, to sum up: People with suspect ideologies are not the people to be trusted with these matters. I can fully agree with that, by the way. I think your first paragraph is tremendously insulting to R Linzer and he deserves an apology. You may not agree with him or his conclusions, but insinuating that he never says 'no' is as insulting as it is wrong - and it is very wrong. I honestly expected better from you. I can personally attest to Rav Linzer submitting to halacha and accepting that the sources do not allow what he was being asked. His integrity is very solid. Micha, have you actually read the responsum that you cavalierly dismiss, or did your prejudice prevent you from making the effort? I read it and found it well sourced and well argued. While the permissible halachic conclusion is not inconsistent with the general culture of Open Orthodoxy, it is based on a consensus approach on the nature of the beracha. In the end, Rav Linzer counsels the would-be mesaderet kiddushin to take into account the anticipated reaction of the wedding party and the local community since the matter is a question of policy more than halacha. Perhaps, but the criticism was intentional. I do believes at times he is stringent. However, I do not believe he would publish a pesaq in writing that was against the innovative trend extant in his subculture. I was commenting about attitudes toward feminism, not leniency. Halakhah has been reduced to a hoop to jump through while justifying what is "obviously" correct morally, with no attempt to check that moral judgment against the general halachic and aggadic trend. If that is insulting; well, prove the insult doesn't fit. That said, there is quite a bit of qulah shopping as well. There are a number of obligations that a feminist halachacist might endorse, and yet I don't see those endorsements. Such as ruling that women are obligated to pray the standard liturgy 3 times per day; one could obligate a daughter to say qaddish for her father (thereby guilting her into going to shul multiple times a day for 11 months, just like her brothers) by going one step beyond the Vilna ruling; or requiring 3 who eat together -- 3 women or 3 people regardless of gender -- to wait for the others in order to bentch with a zimun. Unfortunately, I think the preponderance of psakim coming down along party lines indicates that ideal or not, ideology plays a significant role in practical halakhic decision making. How many Charedi Poskim do you know who recite Hallel on Yom Ha'atzmaut? How many Dati Leumi Poskim forbid it? What is the chance a Charedi Rabbi will permit a married woman to have her hair uncovered out of the home? A MO Rabbi? etc.. Yes, I read it. Thanks for the leap to ad hominem. I disagreed with what R' Linzer was doing, but I did not attribute it to flaws in his morality or competence. An example of what I'm talking about: The essay quotes the Igeros Moshe as saying "היה ראוי שיהיה עצם החיוב על כל אדם שישנם בשעת האירוסין -- In essence, it would be appropriate for the obligation to fall on every person who is present at the time of the kiddushin." And then cites a number of sources that agree. None of whom actually take this "in essence it would be appropriate" to say the obligation actually does fall on everyone present. In fact, RMF explains why. And in fact, it is unimaginable that RMF would have agreed with the conclusion of the paper. And yet, these concerns are not addressed, even though he us using a quote to prove something the ones quoted would not agree to. Similarly, the next claim, based on the Noda biYhudah et al. "These poskim assume that the bride can be the one to recite it herself, regardless of the male voice of the text of the b’rakhah. If this weren’t true, the mesader would not be able to recite it on her behalf." And yet, they do not actually make this implication. Again, he quotes part of a teshuvah to reach a conclusion its author wouldn't. IMO Reb Micha is exactly correct, including his comment about R. Linzer. Nothing to apologize for. Noam Reb Micha didnt say what you claimed he did. Reb Micha referenced one instance (which I concur with) and you then took to be "never says no". But I will say on these types of topics it is more than fair Reb Micha's, and my own and most ppl's assumptions. Perhaps it is you who owes Reb Micha an apology :) . And though I dk you other than by your first name, I assume you would apply your sentiment to all those who criticized the OU Rabbinical Panel's pesak on the basis of "we all knew what they would say anyways". Micha, the sarcasm was occasioned by your obvious bias and dismissal of a brilliant and serious talmid chacham and posek. Your follow-up comment that his pesakim suggest, "no attempt to check that moral judgment against the general halachic and aggadic trend" is revealing. Why should a posek be so concerned with trends rather than truth? That sentiment is tantamount to saying that no innovation is to be tolerated. Rav Moshe, I note, was not concerned that some of his rulings might rile some traditionalists. He used his extensive learning and clear mind to address issues that came his way. He may well have decided contra to Rav Linzer, but he, too, was unafraid of bucking the trend. To give one example of Rav Linzer deciding against a feminist trend in Open Orthodox circles, he paskened in writing that a woman could not lead selichot since it involved "devarim shebikedusha", namely kaddish and the 13 middot, which required someone who constituted part of the minyan - despite the contrary position of a colleague. You may argue some aspects of the responsum such as the use of the conventional wording of some tefilot as opposed to a scholarly review of the history of the siddur, but that doesn't impugn the validity of the pesak. Nor does accepting the " halachic and aggadic" trend in connection with a woman saying 'shelo asani goy and eved' necessitate his rejection of a woman mesaderet kiddushin using the same nusach as a mesader kiddushin - or, more importantly, to serve such a function. I looked up both the Nodah Biyehuda and the Igros Moshe and R' Micha is absolutely right. If anything he didn't state his case strongly enough. The Nodsh Biyehuda writes ואם היה מקום לומר שגם הכלה שייכת ... which implies that it's not actually true. Similarly R' Moshe brings this as a hava Amina not a maskana. First of all, was RDL's conclusion "yes"? Yup. Could anyone familiar with how OO's "pasken" have thought otherwise? No. Yes, RDL and his friends will be stringent... when stringency is consistent with OO ideology. I have read a few OO "teshuvos" and similar to the examples Reb Micha brings, their innovative lenient conclusions are based on misreading, partial readings or readings totally out of context from the original teshuvos, all meant to bring justification to what they had already decided was the answer to the question before they began. Long ago, before he became as infamous as he is now, Rav Avi Shafran wrote an article called "The Conservative Lie". (According to him, he did not choose the title and disagrees with it) In it he notes that while the Rabbinical Assembly of the Conservative movement has a teshuva process one cannot find a single teshuva on any important matter with social liberal implications where the answer is "no". OO is developing a similar system - they present a teshuva, cherry pick sentences from various sources and hope people think it looks real enough to be relied upon. And in fact, it is unimaginable that RMF would have agreed with the conclusion of the paper. Again, he quotes part of a teshuvah to reach a conclusion its author wouldn't. I'm not sure what is invalid about that. These poskim had a completely different view on the role of women and how to view feminism. He's quoting them on the technical halachic issue knowing that they disagree with his worldview. Putting it another way, I think that is is inconceivable that any pre-19th century poseik would allow someone to set up a school for women teaching halachah and Tanach with Ramban's commentary on Torah, let alone Gemara. The Gemara itself forbids it. Does that mean that our modern approach to women's education is invalid? Rav Dov Linzer merely uses some arguments found in Igrot Moshe and Nodah BiYehuda to buttress his principal sources of evidence that Ashkenazy pesak follows the Rema and not the Rambam and Mechaber that birchat erusin is birchat shevach and a sanctification rather than a birchat mitzvah. If it were the latter, then only the chatan, according to conventional understanding, should make the beracha. He doesn't argue that Rav Moshe and Rav Landau actually pasken that anyone present at the wedding can make the bracha. This is clearly noted in his conclusion paragraph where he lists all the poskim taking the birchat shevach approach that would, in principle, allow a woman to make the bracha. He doesn't include either Rav Moshe or Rav Landau (Nodah BiYehuda). The conclusion ends with a caution that there may be conflicting reasons for the woman mesaderet kiddushin (that was already planned and not part of the shailah) making or not making the beracha as a matter of policy. He advises her to consult with colleagues taking into account the wishes of the couple, their family, wedding guests, and community. He just addressed the halachic aspect of the matter. It is insulting and a rabbinic prohibition to be dismissive of a person of his stature. If not for my reticence in such matters, I could critique some pesakim from one or more leading rabbanim in the 'Centrist' camp. The hallmark of paskening a shailah is at least occasional surprises. R. Moshe Feinstein has both lenient and stringent opinions, each of which infuriated certain groups. 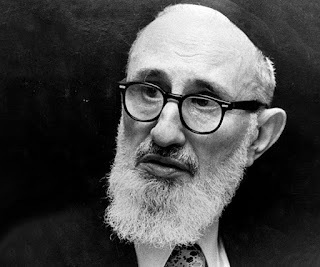 (By contrast, the Chazon Ish is known to be almost always machmir, and thus his opinion for practical guidance is rarely used by anyone other than devotees.) And sometimes a posek has to give hard responses, as RYBS described in telling a kohen there was no way he could marry the divorcee he loved. How often - if ever - has RDL or anyone affiliated with OO ever told feminists, "No, you cannot"? DF and Micha, here is a more sweeping negation of the would-be participation by women in some rituals by Rav Dov Linzer. It is the conclusion of a critique on an article arguing that a woman can write a kosher sefer torah. Rav Linzer emphatically disagrees. Ie halacha is a barrier to doing what we really want to do. So we need to grin and bear it, and circumscribe it where possible. I do not think this bears any resemblance to the Torah attitude to keeping mitzvos, or doing ratzon hashem, or any other fundamental of Torah life. Ok, The Rambam says in shmoneh prakim that the attitude to forbidden pleasures should be - I'd love to but what can I do, Hashem has decreed! But the point there is not to see it as a sacrifice rather as a wholehearted awareness of and submission to ratzon hashem. This only confirms further, as if it were necessary, that attitude to mitzvos is the basic problem of OO. But the point there is not to see it as a sacrifice rather as a wholehearted awareness of and submission to ratzon hashem. Ummm.... Isn't that what a sacrifice is? To put it another way, are you claiming that an Agunah is not making a sacrifice? Is that not a more extreme example of "one of many sacrifices that must be made for the sake of halakhah"? Micha and David: Fair enough, not being able to marry again/who you wish is extremely painful and to stick to that is certainly a sacrifice. (re definition of terms: I'm assuming the word sacrifice is being used to indicate an ongoing sense of loss, which is not clearly inherent in the etymology but seems to be the common understanding here) But these are examples in extremis, and such can happen in extremis. In the normal routine of life I can't see that it should be that halacha should be identified with sacrifice. Quite the opposite, in the normal run of things Jewish living and keeping halacha is meant to be with simcha. R Linzer's comment reminds me of Reb Moshe's (alleged) comment that the yiddish refrain 'it's difficult to be a Jew' was responsible for a lot of assimilation. Bottom line - if you see keeping halacha as a sacrificial sense of loss or missing opportunities then you're going to be champing at the bit to bend it to fit what you want. Extreme examples notwithstanding, that's not going to lead to productive avodas hashem. Ben Bradley: you are clutching at straws here. There are plenty of unarguably orthodox rabbonim who have used that exact same phrase in very similar situations. I get the feeling you are looking for a reason to discredit RL, and seeing as his psak seems very fair in The case of the sefer torah, you are just looking for some other fault to pick with his words. Please do correct me if I am wrong. I have to agree with Yavoy, and would wish to stick to authentic reasons to discredit Open Orthodoxy. I have no reason or desire to discredit individuals. Just the intellectual and religions trend. In the end of a response to someone who wants to be a soferet and believes she proved he could, RDL concludes that she can't, and that her religious yearnings have to be in submission to halakhah if they are to be authentically Jewish. A very appropriate closing. Personally, I would focus on the fact that this response is a rarity, that most OO publications are in favor of innovation; which may show that western values are getting far too much emphasis in comparison to aggadic ones and to halachic procedural details. Including, in the case we started with, downright intellectual dishonesty of partially quoting a source that if cited in full would show a rejection of your thesis, not a support. If cherry picking an idea Rav Moshe at al found to be outweighed by others, one should say so. One should also address your own source's objections to the bride making a birekhas qiddushin. He also glosses over an ideological gap his audience may be interest in. The idea of both making the berakhah would be based on the woman as attendee of her own wedding, not as participant. It would be an illusion of egalitarianism that the halakhah itself isn't really supporting. Y. Aharon - The [sole] example you found is technically good, but carries very little weight. We don't see feminists demanding to be allowed to write sifrei Torah; in fact, there are relatively few sofrim to begin with, and many of those only write Megillas and Teffilin. So it doesn't take very "broad shoulders" to say no to a woman writing a Sefer Torah. Even this one example was not in response to an actual live case, but a theoretical give-and-take with another woman. And even then he felt compelled to come up with permissive possibilities, such as if she were able to ensure that the Torah would not go to a halachic congregation. I had not intended to get more involved in this discussion about Rav Linzer especially since people like David Rosenthal and Ben Bradley will twist anything to justify their bias. However the continuing discussion involving people of the stature of Micha requires some response. it is not unusual for a posek to selectively cite some arguments from halachic sources to buttress his own argument without necessarily citing their own conclusions. In effect, he accepts their argument but not their conclusion. Such a procedure can be abused, but it is legitimate if he finds sufficient authorities that reach a conclusion similar to his own. DF is under the impression that I found one instance where Rav Linzer disputes an egalitarian stance. In fact, I previously cited another instance in his pesak against a woman leading the tzibbur in selichot. The pesak can be found in the Lindenbaum archive accessed through the yctorah.org website. What is of interest about this pesak was that it was in disagreement with that of a colleague, Rav Ysoscher Katz, and there is a continuation of the disagreement in the above archive. This point also demonstrates that Open Orthodoxy (OO) is far from monolithic - as the name attests. I wasn't defending all the OO theses - only the writings of their most prominent and respected halachic voice. While there is no authority figure in OO comparable to the Hareidi or even Centrist world, Rav Linzer is the rosh hayeshiva of their most prominent institution YCT. and is deferred to by the founder and current president. His standing as a major talmid chacham is also not in dispute by those who are familiar with him and his background. You can ask the senior Gush people what they thought of the devotion (hasmadah) and capabilities of a young Dov (David) Linzer when he attended Gush. You can also get a flavor of his broad knowledge by listening to his daf yomi shiurim accessed through the above website (also on Youtube). As long as we are talking about frames or reference or bias, I think that it's pretty clear that this has a lot to do with what is driving the various positions here. E.g. DF cites "feminists demanding" things. Unless I'm badly misreading things, DF and Micha Berger doesn't think that various potential feminist related changes in tradition (e.g. female Rabbis) are a good idea to begin with. Whereas R Dov Linzer looks at such changes as being potentially similar to the codification of monogamy, the prohibition on Yibum, and the Torah education of women which are fully accepted by almost the entire community. What demonstrates this is the debate about women Rabbis (and to some smaller degree women wearing Tefillin). The main argument against is really about the preservation of tradition. If think that the feminist desire/claim/demand had not religious validity or value, then what value could there be in doing something so "nontraditional"? Obviously they are putting their own desire to be like the Gentiles above their commitment to the religion. It is not necessary to cite any specific prohibition any more than than it is not necessary to cite a specific prohibition on using heroin recreationally or taking a one-way trip to Mars. It's obviously a bad idea coming from a bad place. OTOH, if you think that idea Orthodox women becoming Rabbis is really just a natural result of same forces that makes them Physicians, Lawyers and Engineers and their time spent in all kinds of Torah study, then you are going to have a completely different view on the subject. Citations of prior authorities who state that a sufficiently knowledgeable woman can give a P'sak or assume a position of Rabinnic-equivalent authority, even though those same authorities would never themselves permit a woman Rabbi for traditional reasons, would make perfect sense. We all have biases, including the New Yorker, from which you link an article. Being in that publication it was inevitable there would be an overt political angle to it, and sure enough, though it took awhile, the explicit anti-Trump propaganda came out towards the end. As it turns out, even people who write articles about confirmation bias - even in the middle of such an article - such people cannot avoid their biases. There is simply no way around it. You are demonstrating that yourself by excluding the possibility that candidates that you support could ever fall in this category of "believed only by the already believing". I don't exclude that possibility, but it would have to have to be proven by empirical fact, which the authors of the New Yorkers article didn't do. They just relied upon their biased assumptions. I don't want to get into a Trump debate, but the source of the original "alternative facts" apologetic was the claim that Trump inauguration was the best-attended in history. Is someone really biased if they doubt that? I think that the chances of that assertion being true are very close to zero regardless of your political affiliation. You also have Cruz-Kennedy assasination conspiracy theory, Obama not born in the US, vaccines cause autism etc. My point here is that a rational Trump supporter doesn't say "I believe Trump in his odd assertions", but rather "I support Trump because he is says what he thinks" or "I support him despite his oddly false assertions" or somesuch. But on the other hand, how different is this from "Daas Toireh? People often thing that Chareidi and OO methods are just mirror images. The answer is pre-determined and while OO goes leniency-shopping, the Chareidi poseiq simply cherry picks various stringent opinions to justify his position. A closer example shows that this isn't true. The Chareidi system today, as based on Rav Eliashiv, z"l, is to claim that "truth" overrides everything and that the poseiq must therefore come up with the ideal answer while ignoring any possible social, economic or personal implications of that answer. Doesn't the very fact that we can say "we all have our biases" indicate that we are not necessarily slaves to our biases - that we are, at our best, capable of genuine objectivity? Maybe we all do start from intuitions or preconceived opinions about what the answer to a controversial question is likely to be, but isn't it the case that sometimes a careful examination of the evidence and of the arguments on the other side induces us to modify our position? That was precisely the point of my comment two above yours. No, its not possible. Even in the middle of an article about bias, the writers reverted to their own tired-out biases to bash a political opponent. NOT based on a policy they opposed, which is fair game; but on a particular quality they perceive in him that is built purely upon bias. So, it is very possible to be aware of bias and still engage in it. Because, you see, it is OTHER PEOPLE that engage in bias, never one's self. Ben: "Das Teireh" says that someone who learns a lot has a specially shaped mind (and/or perhaps: near ruach haqodesh) that gives them a special insight into ANY topic. This is simply that there is more to knowing halakhah than that which can be easily articulated. Someone who knows the art of halakhah can reach conclusions in it that are non-obvious. Just as someone who knows English as a first language knows what poetic license makes sentences that sound correct; whereas someone who only knows the formal laws of grammar may not be able to judge. Cf R. A Lichtenstein's agreement with Micha's description in his article on Daas Torah, linked previously on this blog. That article is highly critical of what passes for contemporary Daas Torah but his concurrence with the theoretical principle is in there clearly. I didn't assert whether or not DT is real, I just defined the term. So that I can point out that deferring to posqim, and giving more deference to the greater poseiq, is not DT. But RAL speaks of da'as and uses examples that include middos (as the Rambam would call them "dei'os"). But the essay doesn't use the idiom I was trying to define, nor does he limit his critique to a lack of DT rather than de'as in general. IOW, I translated a term, RAL discusses a topic without focusing on that term. It's hard to use one as "agreement" for the other. Okay, but a non-sequitur. My whole point was that further discussion of DT has nothing to do with the role of heteronomy in halakhah. Does it need to be motzei shabbos? I can give you a lift up on Sunday morning March 26. Thanks! That would probably work. But it would be helpful if I actually have contact info for you. Please email me at director@tevatanachi.org. quiz question . who said this.? distorting both, the spirit and the letter of halachic sources. subjugation of its pure principles to ephemeral conditions. the reasoning leading to the "Psak Din," the clear-cut dictum. In our case though, such considerations are completely inadmissable. R Chaim Zimmerman. This is an excellent example, because, IIUC, he ends up supports the rather fantastical view that all of the Jews in Japan should switch their Shabbos to Sunday. Exactly the kind of conclusion that you can come to when you look at the books without reference to the outside world or the historical circumstances and background assumptions that they were written with. [I'm being unfair, because while I have a plan to read the book, I haven't done so yet. I'm generalizing a bit from the Chazon Ish]. David, to elaborate on your comment. The assumption being made is essentially that the Jewish merchants who came to Japan in the 19th century and the Mir yeshiva guys who came in the 20th century somehow lost count of the days to Shabbat so that Sunday is really Shabbat there. All of this because of a problematic statement in the gemara in Rosh Hashana and the rather strange rationalization by a lesser known Rishon, R' Zerachya Halevi (Ba'al Hama'or). Regardless of how to interpret that gemara, or to leave it unresolved, there is no other source for assuming an halachic dateline. It's more rational, it seems to me, to assume the absence of such an halachic line anywhere in the world. You simply keep track of the days so that Shabbat follows 7 days from the prior one. If circumstances make such time keeping difficult, you can rely on the day tracking of the Jews in the locale. This was the view of Rav Zvi Pesach Frank and Rav Isser Zalman Meltzer, Yerushalmi posek and rosh yeshiva, respectively, when the issue was raised by the Mir yeshiva people who had fled to Japan. I note that the most prominent of the Centrist rabbanim ruled that Sunday must be celebrated as Shabbat in Japan and his discussion didn't include the above view of Rav Frank. Having looked into this, I think that the key mistake is that they look at the Rishonim and they "all" say that the day starts 6 hours east of either Jerusalem or the center of the land. So all the Rishonim "agree". The problem is that these Rishonim thought that that was where the land ended and the worldwide ocean began. They placed the beginning of the day there because that is the only logical place to put it, with no on living in the Western Hemisphere. If you showed them Japan, most them would have of course said that it was in the East and ahead of Israel.